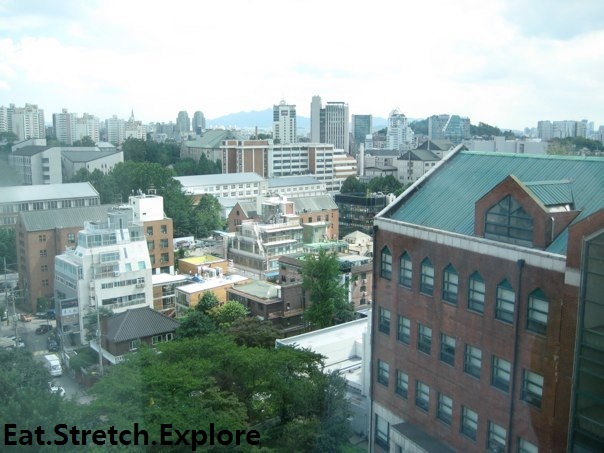 Are you planning on studying abroad at Yonsei University? If you are living on-campus, SK Global House will likely be your home away from home. I was in the first group of students to live at SK House, so these pictures are a little old, but it is still pretty much the same. The lobby is really grand. The security guard is super nice, but strict. It is difficult to get guests who are not Yonsei students into the dorm. My friend came and visited one weekend and it was almost impossible for her to enter, but I told the guard that we weren't doing anything crazy and we would be quiet. She was allowed to stay one night, but then we were told that she would have to find somewhere else to stay. 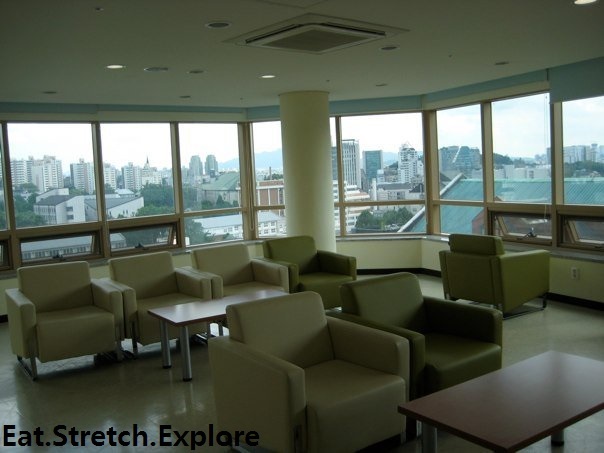 There are great student lounges on every floor. There, you can meet your friends, watch TV, get filtered water, etc. One thing to note is that males are not allowed on the female floor and females are not allowed on the males floor. They are very serious about this and track it by CCTV. Some people my year did not believe they would actually get kicked out of the dormitory, but they were wrong. They were caught and were banned from the dormitory on the third day. The rooms are very basic, but clean. There will be two people per room (sorry I can't find my dorm picture). The pictures online depict the living situation quite well. For each resident, there is one twin bed, mattress, one rather narrow, but tall wardrobe, a desk chair, and desk. The bathroom is also pretty nice, compared to other bathrooms I have had in Korea, this one is very good. It is quite narrow, but it's nice that each room gets one bathroom, so there are no communal bathroom situations. The internet is very fast (thank you, SK Telecom). There is also air conditioning included, so that's super great for life in the Korean summer. 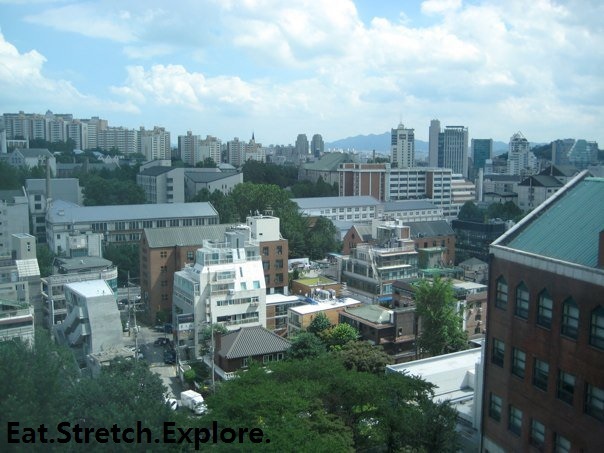 The views of Edae and Sinchon are really nice! These were taken from the student lounge. The red brick building on the right is the Korean Language School, where, if you are taking Korean language classes, you will spend most of your class time.